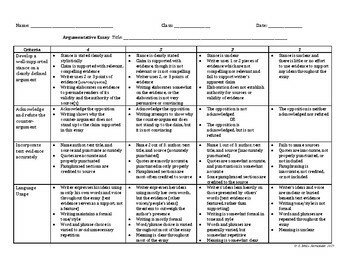 One rubric that does it all? Sure! Criterion taught during a unit of study on argumentative essay, plus common core state standards, and conventions all in one place. 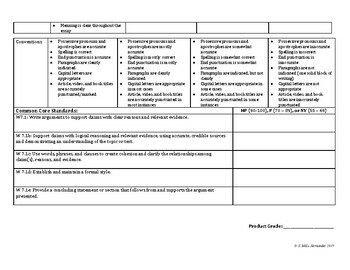 This 2-page tool can support your assessment of student writing throughout the process, helping illuminate which lessons need reteaching, which students need support, and which students has skills developed well-enough to serve as student-teacher in the classroom.